We are offering PE Adhesive Tapes to our client. The PE tapes offered by us is manufactured using premium quality materials in conformation with set industrial standards. These tapes are appreciated for low coefficient of friction, abrasion resistance and anti-stick & release properties. These tapes are convenient for all types of binding and can also be customized as per the requirements of clients. ZIGMA hazard barricading tape available in various colors, width, thickness & roll length. Keeping the diverse requirements of customers, our company offers quality assured assortment of PE Foam Tape. Our product range is highly appreciated amongst customers for its high adhesion and optimum finish. 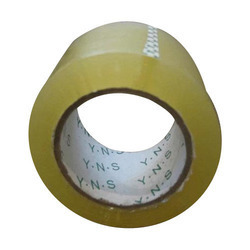 Moreover, this PE Foam Tape is extensively used in different industrial purposes. Our organization plays an important role in offering Polyethylene Tape to our clients. 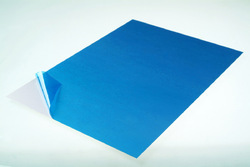 Polyethylene Tape can be availed in various sizes and different combinations of colors. Offered product is customizable as per requirements of customers. Owing to years of experience in the industry, we offer a wide range of Double Sided Foam Tape that are quality assured and ensures wide usage. Our entire product range is delivered with both side adhesion tapes thereby assisting to paste the charts in well-organized manner.